Nicola was just wonderful to work with. Her talent to spot slightly unusual but beautiful moments showed itself in our wedding photos only too well. 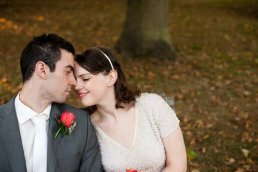 From photos of me getting ready, through the ceremony to the First Dance, our guests were as impressed as we were with her professionalism and lovely, warm personality. 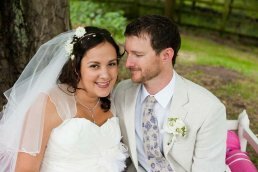 I got married on the 25th June 2011 and I’m delighted to say Nicola was my photographer. I loved her work so much I asked her to come all the way up to Perthshire, Scotland for my wedding. We could not be happier with the photographs we received. Nicola was a pleasure to have around on the day, her friendly and very chilled out attitude made getting a photograph taken all the more easier! Thank you Nicola! Nicola's photography is so good it made my mother cry. She has an amazing gift for capturing magical moments and immortalising them forever on film. The great thing is that because she's such a gorgeous person you don't feel like you're a subject you just feel like you're hanging out with an old friend. 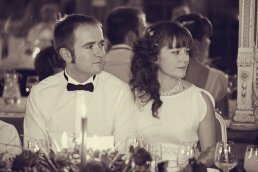 Nicola was a joy to have at our wedding day, I can't imagine feeling so relaxed with anyone else. I felt immediately that I could trust her, and she got on with her job calmly, quietly and with confidence. The photographs are absolutely beautiful, the candid shots and shots of myself and my husband are perfect. I would recommend her without a single concern. 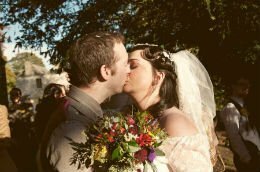 Nicola photographed our wedding and we are absolutely thrilled with how the pictures turned out, it was a pleasure to have her at our day and we will go straight to her should we ever have a need for a photographer again.